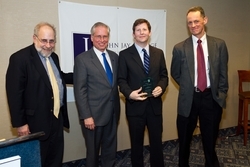 New York Magazine and The Philadelphia Inquirer Investigative Team won the 2011 John Jay/H.F. 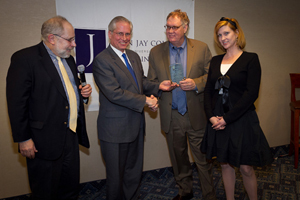 Guggenheim Excellence in Criminal Justice Reporting Awards. Read the New York Magazine story, “I Did It,” by Robert Kolker here. Read the Philadelphia Inquirer Investigative team story, “Justice: Delayed, Dismissed, Denied” here. Honorable mention in the single-entry category went to Jim Schaefer of the Detroit Free Press, for his article, “Overdue Justice,” an investigation of victim restitutions still held in state coffers years later. Two entries tied for second place in the series category: Charles Piller of The Sacramento Bee for his series, “The Public Eye,” focusing on prison reforms; and “Law and Disorder,” an investigation of the New Orleans police force after Katrina by the ProPublica, New Orleans Times Picayune and PBS Frontline Investigative Teams.